Looking for Percy Jackson merchandise, books, posters, shirts, and more? Welcome to our Percy Jackson store! It is always updated, so be sure to check back. 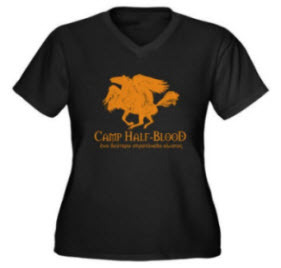 If you are looking for really cute Camp Half Blood Merchandise and Percy Jackson shirts, you should check out Cafepress. Where can I find youth-sized t-shirts to go with these youth-oriented books? All I’m finding are mens or women sizes. I need a youth medium. Any suggestions?